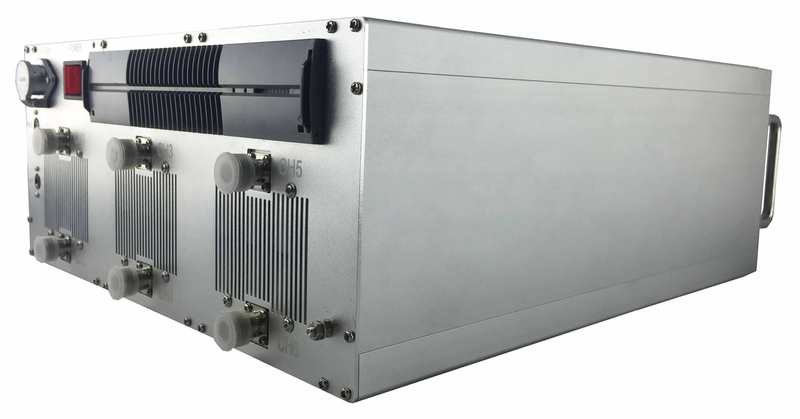 50dBm per band, High Power Signal Jammer , military and prison jammer! 1. Equipped with special high gain directional planar antenna or fiberglass omni-directional whip antenna, the jammer can effective block CDMA/GSM/DCS /3G/ LTE/WIMAX . 2. Use the overseas advanced chip and technology . With independent modular design, it keeps high operation efficiency, and avoid mutual interference. control the radius range. It is suitable for prisons, detention houses, military bases, large oil fields and all other outdoor places where need the signal to block. Using digital interference technology, overall effective suppression of target spectrum.